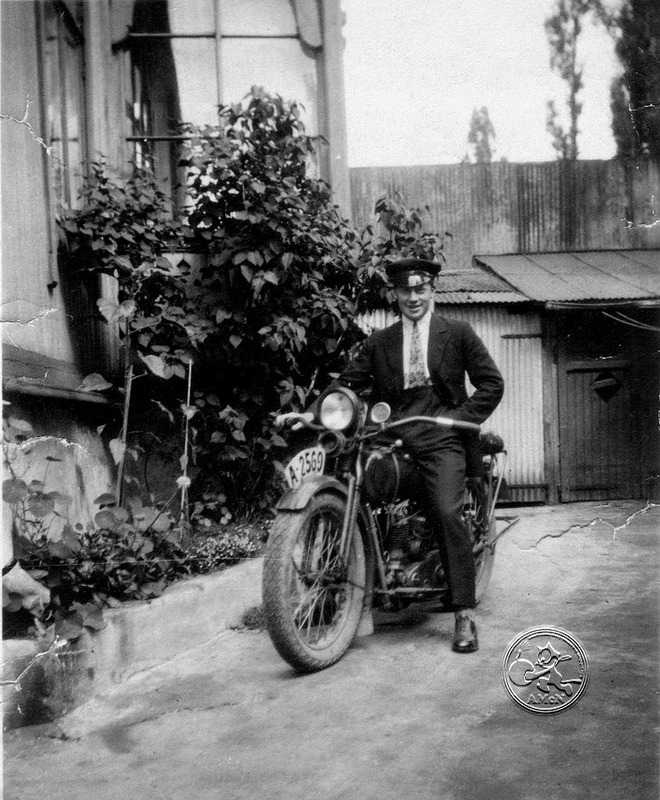 Here are another group of photos from when motorcycling was a sport for the few. 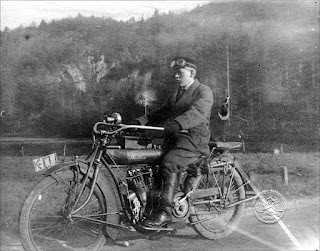 Those pictures are all captured at various locations in Norway from early twenties to mid thirties, the heydays for American Motorcycles in Norway. K171, an early Indian pre 1914 with the IOE (inlet over exhaust) Hedstrom engine. This picture is taken in Kristiansand, a nearby town from where I live. Wonder what happened to this Indian motocycle? A2569, a Harley single from late twenties and its proud owner. 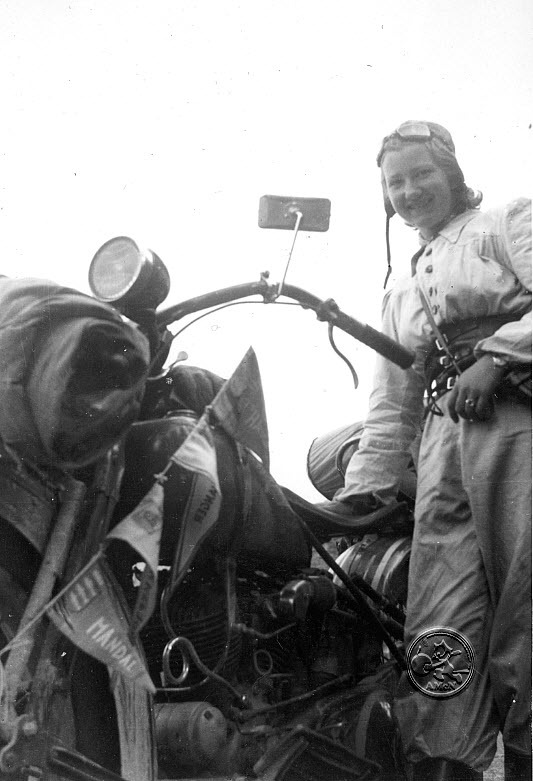 Whow this young lady rider show us a nice smile. No wonder, she tour her Harley VL from 1929 / 30 around Southern Norway. I like the way the pennants from the towns visited are attached to a line from the handlebars to the bottom of the fork, a cool detail. Gravel roads have stained the bike with dust and sand, no asfalt back then.